Why are control arms so important? A track control arm is the hinged suspension link that connects the chassis and the suspension that carries the wheel. Attached with a single pivot, normally a rubber bushing, the control arm can adjust the position of the outboard end while sustaining the radial distance from the inboard mount. 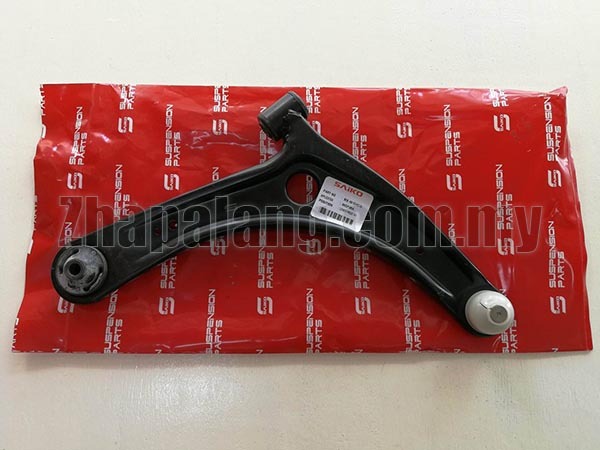 A track control arm is one of the most mechanically impressive parts of the suspension system, which means it is important to replace them when they become worn or broken. Often the reason a replacement is required is due to the ball joint or bushing being worn out, but it can be very difficult and expensive to replace these components separately. This is why TRW believes that replacing the whole part will be more efficient and provide a longer lasting fix. Drivers should also consider changing the control arm when the wheel has been damaged due to an accident. Steering wheel vibration - If the bushings or ball joints in the control arm become excessively worn it can cause wheel shimmy, which may cause vibrations that may be felt in the wheel. Steering wandering - Excessively worn ball joints or bushings can cause the vehicle’s steering alignment to shift, which may cause the steering to pull to the left or right when traveling down the road. Clunking noises - If the bushings or ball joints develop excessive play or looseness, this can cause them to knock during takeoff, or when the vehicle is traveling over rough terrain. The clunking sound will continuously get louder as the component wears or until it eventually breaks.